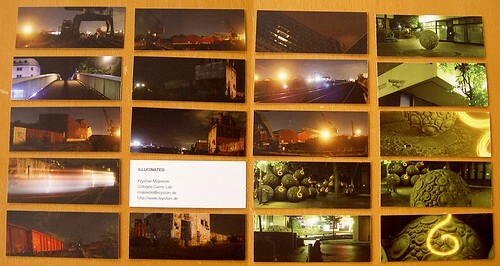 As I’ve already mentioned, I’ve ordered a set of Moo MiniCards to use them as business cards. 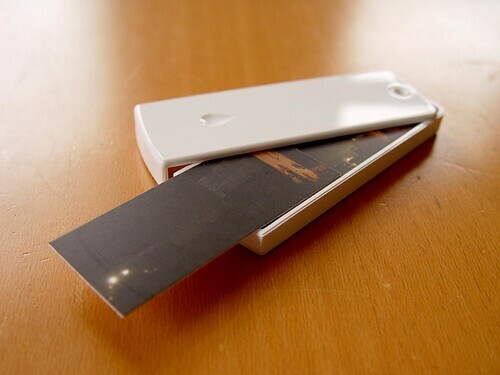 The company offers a very simple procedure to upload your own images and oder the cards over the Internet. 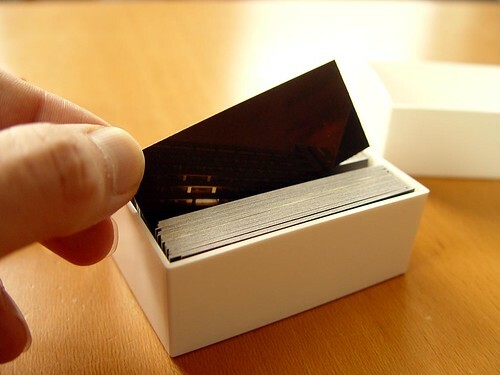 They are sold in packages of 100 cards which is perfect for business cards. Sure, you can order elsewhere 1000 or more for less money, but what will you do with 1000 cards? You will never give them ALL away and after half a year you will start hating the motif or your address changes. 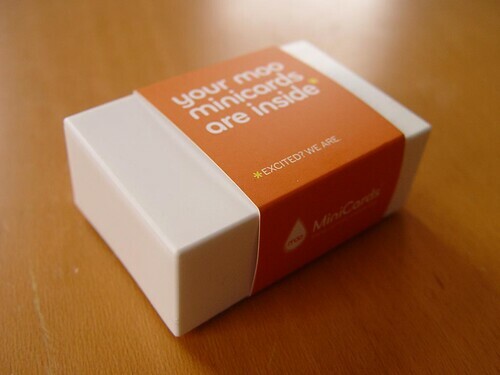 You can print each and every MooCard with an individual motif and they have an exciting format. I must say I really like the format. They are smaller then normal business cards. The aspect ratio is way above Widescreen, comparable to a chewing gum strip or a Sony Memory Stick but a bit bigger. If you use a photo, you will end up with a heavily trimmed motif or one with a ton of negative space. It will always look exciting. I also ordered a dispenser for MooCards. Quite smart of them using a custom format. This way, you HAVE to buy their apparel. The dispenser is nice. The only problems I see with it is that it only holds 15 cards and the opening mechanism might damage the top-most card if the dispenser is full (Might! I’m not sure yet). The mechanism also doesn’t close too firmly so you can’t use the dispenser as a key chain, even if Moo provides a metal ring to do so. Finally, the printing quality is good for digital print. 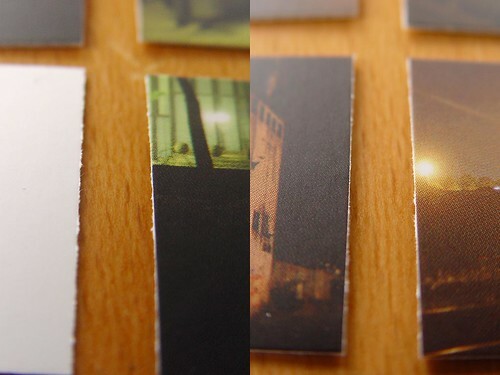 The cards are printed on firm, thick paper and feel as if they are coated with a matte finish. The only problem I have is that SOME of the cards have fuzzy edges caused by low-quality cutting. This is somewhat troublesome if you have dark motifs as I do. Coolomat! I really like those … its pretty neat to have each one an extra motif. Not hard to do with digital printing, but a good idea – would also look very interesting with a decorative modern texture (large image but repeating details i.e. geometric elements). you can spread them out on a table and they don’t look boringly identical but instead each one looks (and is) unique. If you guys want to order you own – I got a 20% off coupon. Smart bastards – works only if you order for the first time so I’m forced to give it away.